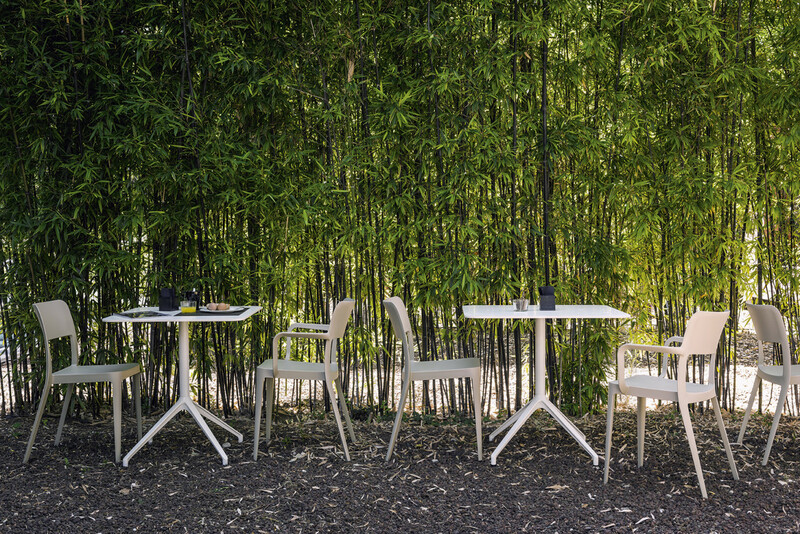 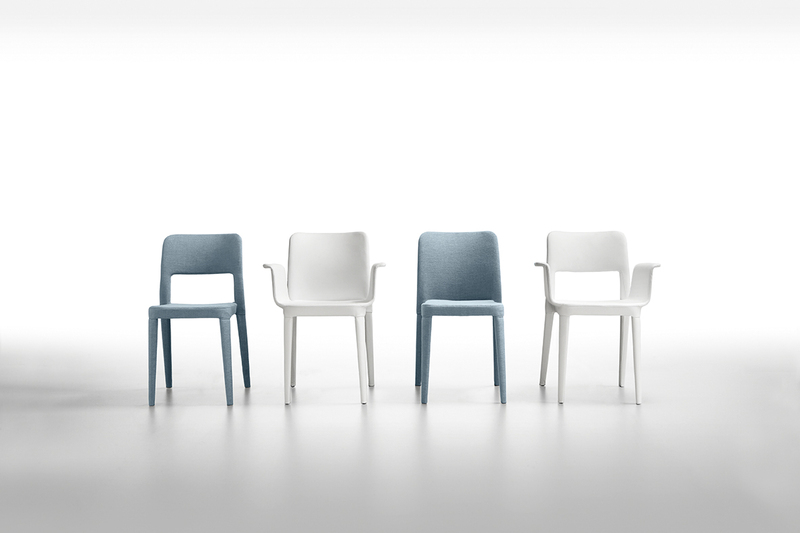 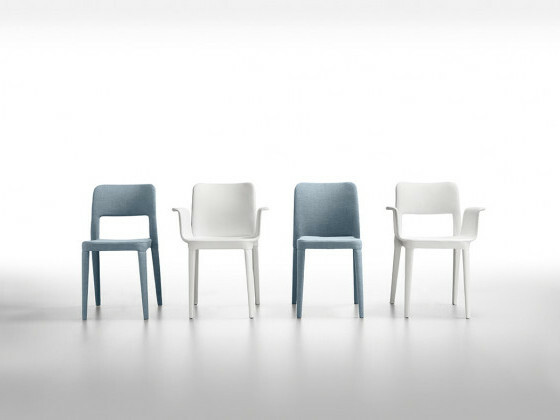 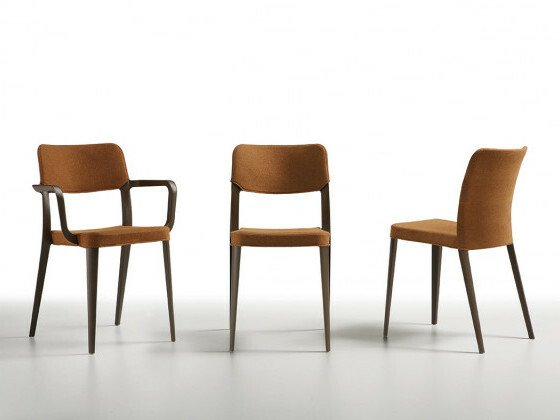 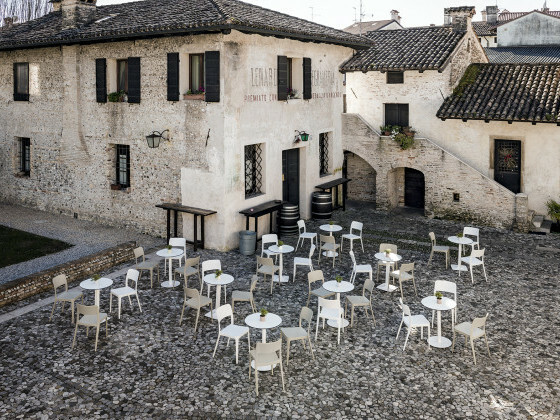 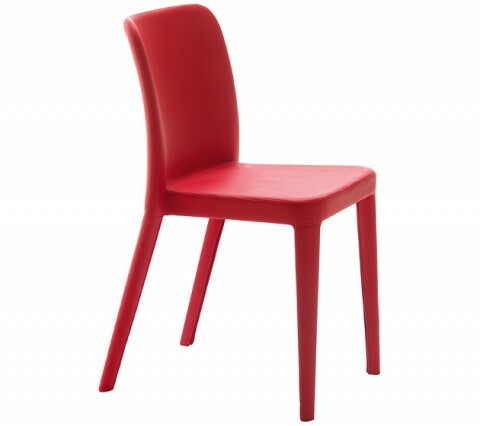 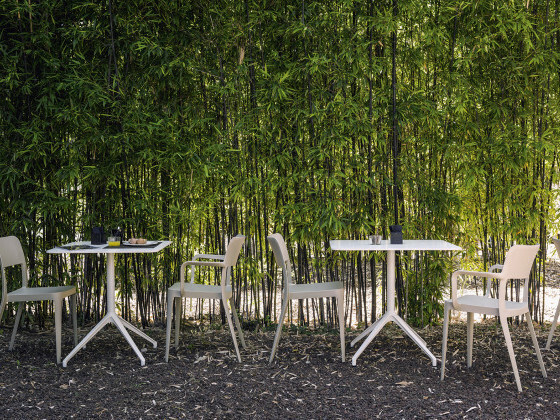 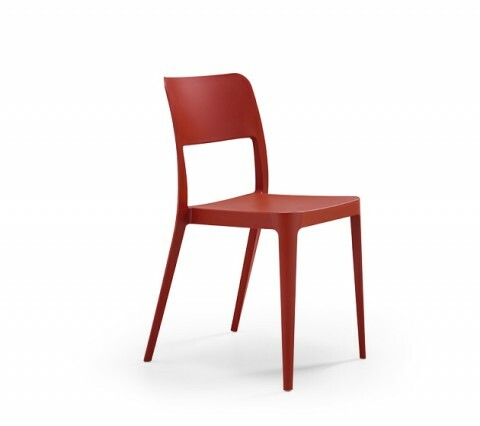 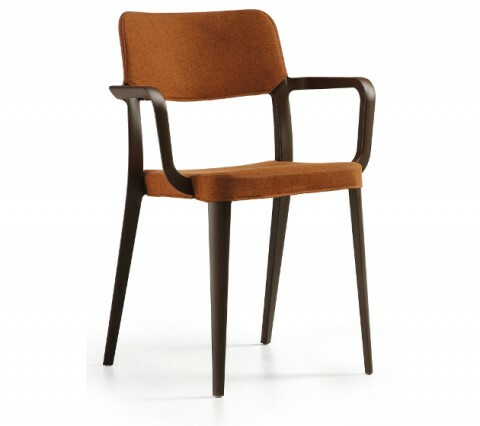 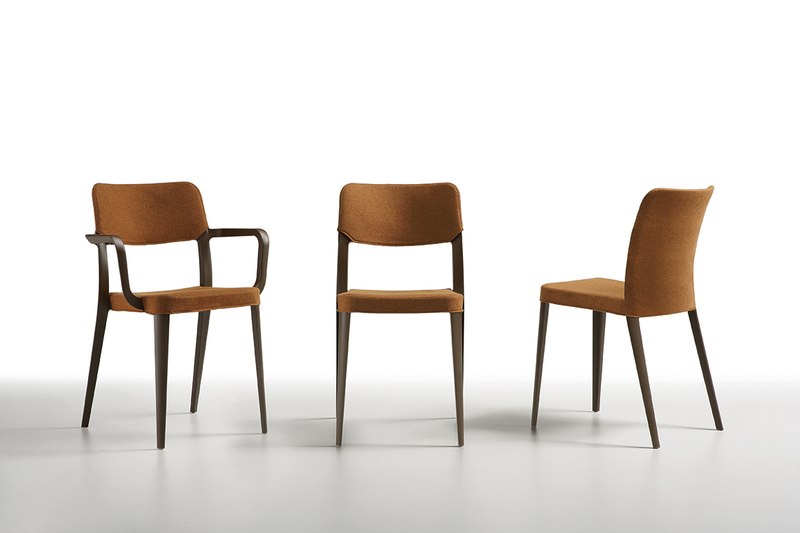 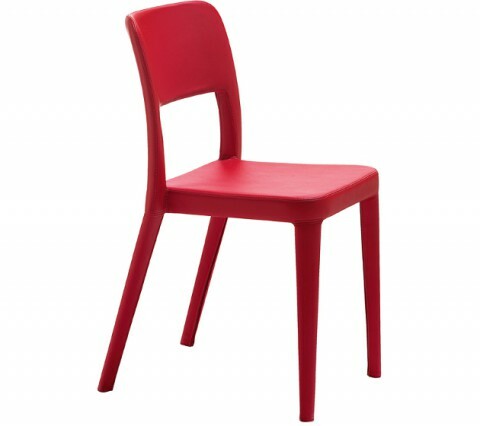 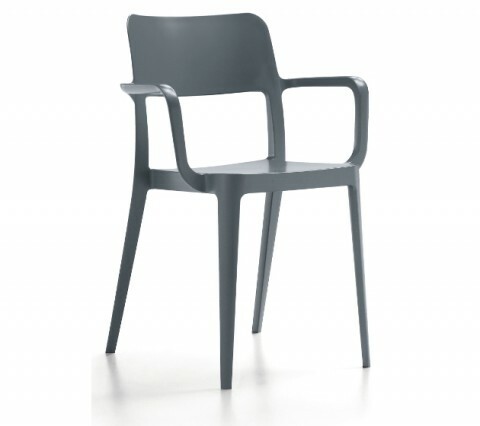 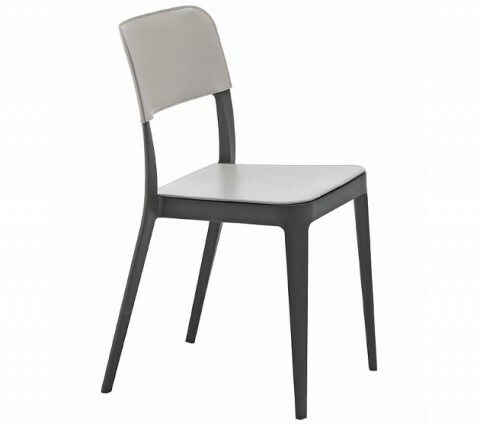 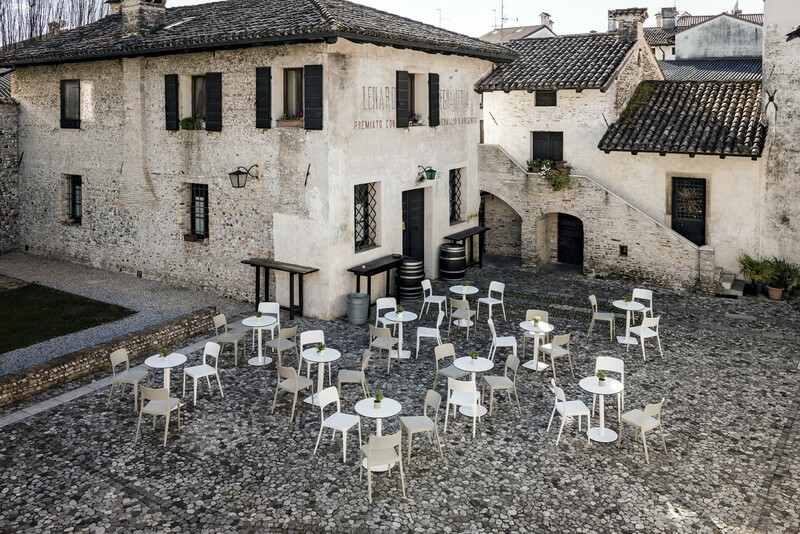 Starting from the simple shapes of classical chair this collection is born with a fresh, contemporary design, suitable for both residential and commercial use, for indoor and outdoor, with closed or opened back, with or without arms, in plastic or upholstered with removable cover. 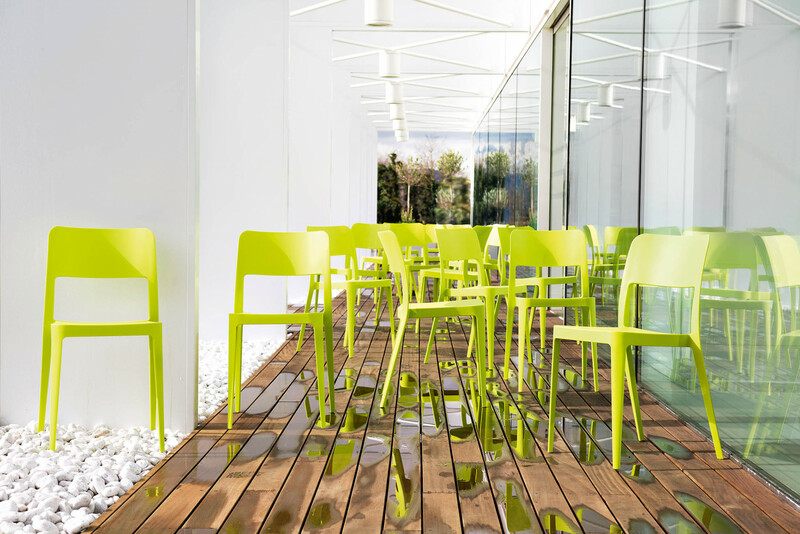 Each plastic version meets regulatory requirements for use in public places (CATAS certification), it is stackable and it is treated against UV rays. 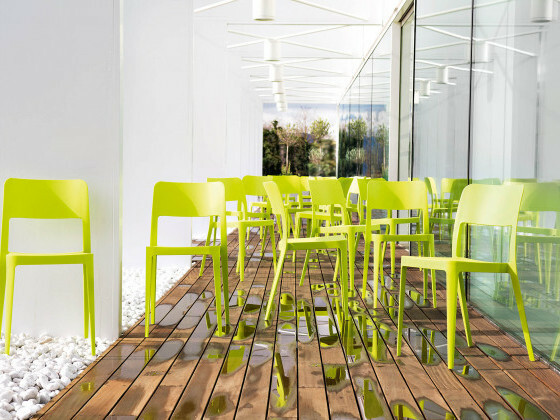 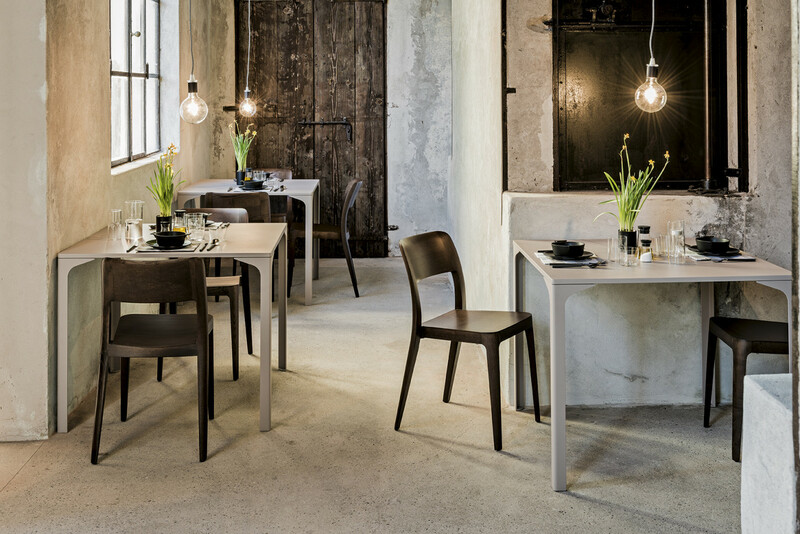 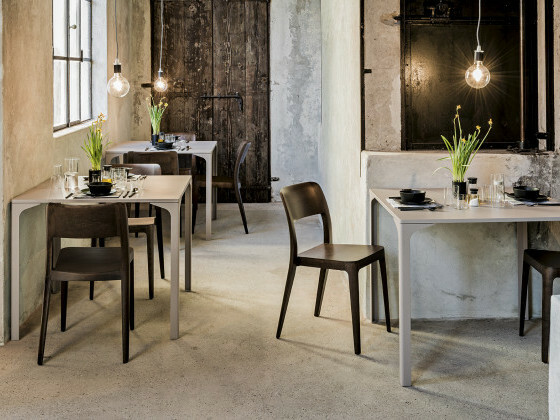 The lightness of Nenè is declined even in table collection, in fact they are suitable for both residential and contract use. 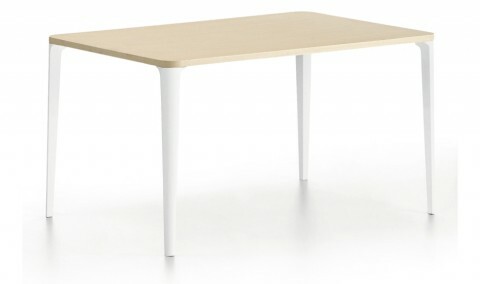 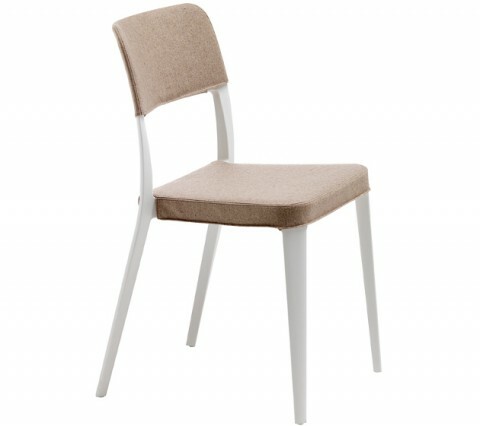 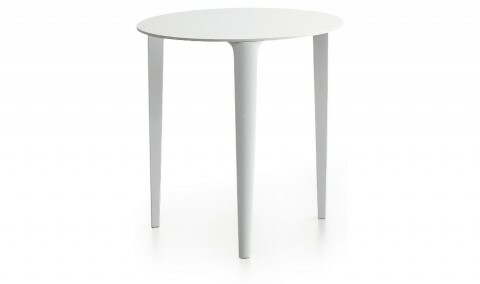 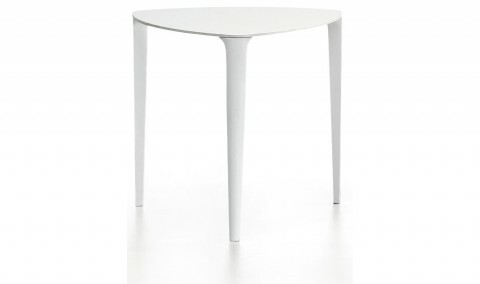 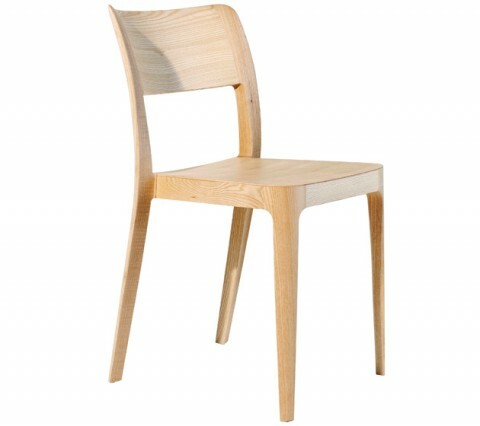 They are available in different sizes and finishes, keeping a fresh and practical design. 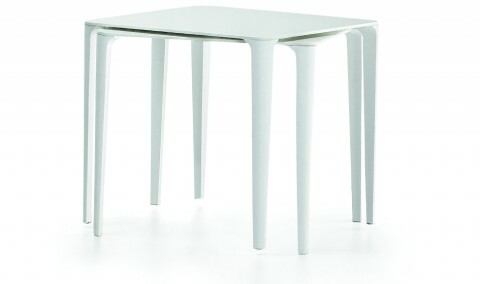 Square and triangular top versions are stackable up to 4 pieces.